THE BEACHCOMBER CAFE AT CRYSTAL COVE CATERS! Your next event will be unforgettable, with our unique setting and fantastic menus and support team. The Beachcomber Café is the designated food and beverage concessionaire for the Crystal Cove Historic District of Crystal. This also includes the event venues that are located in the Historic District, which host a multitude of ocean view events each year from weddings, birthdays, corporate events, and many more. 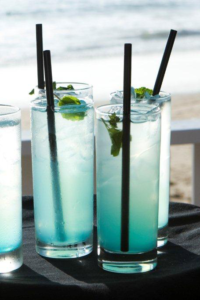 The Beachcomber Catering team is dedicated to making your event a remarkable success while focusing on excellent service, offering fresh local products, and the ability for customization of your event – all with an ocean backdrop.